We Bring The Battle to You! Excitment and hours of fun right in your own backyard! 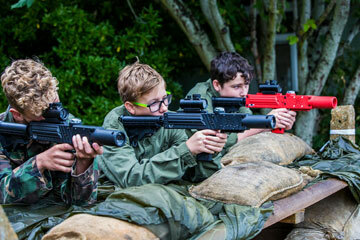 The excitemnet of having Battle Blast Laser Tag Pick your teams, grab your gear, head to your base and get ready for the best Laser Tag party ever! 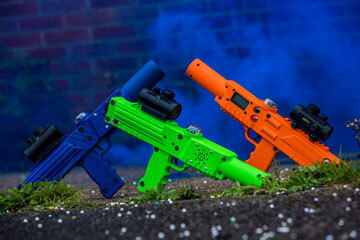 With our industry leading laser taggers, you can play indoors and use walls, halls, and doorways as barriers. Or, we can provide blinds and you can play outside too! Either way, you'll be sure to have the time of your life! Have an open area in doors? We can set up our blinds in there as well. Our light weight, durable and easy to use taggers are great for anyone from the ages of 7-104! 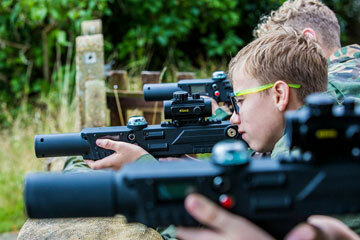 Take your next event to a whole new level with Laser Tag. Action packed fun, thrills and excitement for all. 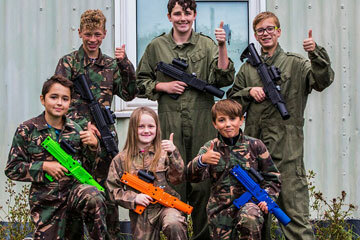 Best of all, its MOBILE laser tag. We deliver the party right to you! Our realistic, high tech taggers, are the best on the market. Best taggers on market- up to 1000' range, realistic sounds & commands, red/green dot scopes, colored muzzles and muzzle flash to detect teams. totally safe infra-red beam similar to TV remotes. no lasers, totally safe. Our battle field commander will guide your party to provide the best experience ever! 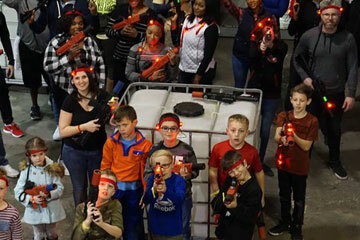 Our Laser Tag party rentals are great for any event from school carnivals, to church outings to even bachelor or bachelorette parties! Mission fileds as small as half a basketball cout to entire football field.